Diabetics have to deal with a whole host of complications. 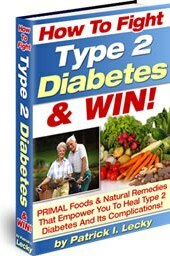 Not only do they need to effectively manage their blood sugar levels, weight, and diet but they also have to deal with many of the long term problems that diabetes often causes. As we explored in this post on diabetic foot care you have to deal with foot problems which are the direct result of diabetes. There are many diabetic foot complications to deal with such as diabetic foot ulcers and neuropathy in feet but both of these two conditions are worsened when your foot circulation is impaired due to your bout with long-term diabetes. As diabetes sets in over the course of many years the damage of high blood sugar can slowly cause your peripheral circulatory system to slow. The first and main area this is experienced by diabetics is in the feet whoever it can also be experienced in other areas of the body. One common name for this poor foot circulation is peripheral artery disease or small artery disease where the small arteries in the feet and lower limbs begin shrinking, clogging, and closing up resulting is vastly impaired blood circulation in that area. When a diabetic has a foot ulcer or a simple wound healthy blood flow to the area should deliver oxygen and white blood cells to fight infection and heal wounds but when circulation is poor enough even the smallest of cuts can be quite serious and be difficult to heal. When diabetics in particular have poor circulation in their feet they become susceptible to infection and lingering sores or wounds. Stubbed toes which result in cracked bones may not heal correctly resulting in deformed feet or toes. And because many diabetics also experience diabetic neuropathy in their feet they are more prone to experiencing damage in the first place. Most people know that diabetics often have to have amputations. This is an extreme result of poor blood circulation your feet but it is a real possibility. When circulation is poor enough in your feet a wound that becomes infected can be extremely difficult to treat. It may seem simple enough to take antibiotics but this will not always work well because the delivery system to the wound is through the blood stream. If blood cannot get to the wound and circulate through it efficiently then the antibiotics can work poorly if at all. When blood can’t get to the wound efficiently then the infection can spread. In worse case scenarios the infection can spread into the bone or blood stream and eventually the only course of treatment is amputation. For this reason it is extremely important to support healthy foot circulation as everything rests on your body’s ability to heal itself. There are three main ways to promote healthy circulation in the feet. One of which is to protect the feet by wearing ideal shoes for diabetic neuropathy, the other is to exercise the feet by staying active and performing proper diabetic foot care, and the third is to stimulate the feet mainly through draining of the lymphs and through the stimulation of diabetic foot massage. Each method should be done but when all are done in conjunction you should experience the best results. First of all you absolutely need to be wearing the right shoes for diabetics. If you are working you need diabetic work boots, if you are lounging around the house you need to be wearing diabetic slippers, if you are exercising you need to be wearing proper diabetic walking shoes. Whatever you are doing you need to be wearing the best diabetic shoes you can find as they will help protect your feet. Diabetic shoes are wider and deeper than ordinary shoes giving you plenty of room for malformed feet as well as room for your feet to breathe. You can’t be wearing shoes which are tight or restrictive. They have to be loose and airy as these will be much better for circulation. Yes taking your shoes off will help with circulation but you will be much more prone to new wounds while barefoot. And while wearing diabetic shoes you need to be wearing proper diabetic socks too. Diabetic socks won’t be so restrictive to blood flow in the ankle and they will have no seams in the foot. This helps your foot to have better circulation while also minimizing irritation caused by sock seams. One significant tool diabetics have in improving foot circulation is through foot massage. Diabetic foot massage aims to stimulate the arteries in the foot and lower leg to perform more efficiently, circulate blood in greater quantities, and generally spark the healing process. Massage of the feet and lower limbs can be performed by professionals but often it is more cost effective to have a loved one learn how to do it themselves. When you know what you are doing it can be an easy way to promote healthy foot circulation and stay close to your partner at the same time. There are many guides on how to perform better massage but this guide is specific to diabetic foot circulation problems and is probably the best way to learn how to perform diabetic foot massage to improve blood circulation. If you choose to implement this into your routine you should know that this is not a cure for circulation problems but just another tool for your tool belt. You still need to rest your feet in a raised position to help with swelling and draining of the lymphs and you need to wear the right shoes too. Beyond that you need to take steps to improve circulation naturally and that leads us to number three, exercise. Assuming you are wearing good shoes for diabetics and are implementing diabetic foot massage into your routine then you need to start exercising as this is the best way to actually improve blood circulation to the feet. In the long run small artery disease can usually be reversed by patients taking action to get active and get back into shape. The best possible thing you can do is to start losing weight and to start walking more often. Swimming is another excellent way to exercise without putting extra pressure on your feet and may be something for you to consider as well. The simple fact of the matter is that many of the causes of small artery disease have to do with high blood sugar levels over time but many other causes can be as simple as high cholesterol levels and plaque buildup in the arteries. By exercising frequently you can stimulate further blood circulation and limit the deposits of plaques which clog arteries. In time this can lead to improve blood flow in the feet and lower limbs and an improvement in the body’s ability to heal itself and fight infections. Reversing neuropathy may not be possible but improving the body’s ability to heal wounds can go a long way to living longer and more fulfilling life with diabetes. Good luck. If you’d like more information on how to improve blood circulation through massage then see this program. It is a paid guide but it is worth it for your long term health.